We received more than 250 videos sharing encouraging and engaging personal stories of how people with heart failure are living life to the fullest after receiving an LVAD. While we received so many wonderful stories (and we'll be sharing more ... see below! 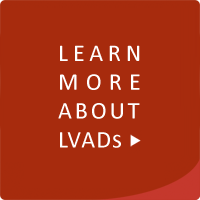 ), our judges panel selected the following five videos for their ability to educate and inspire others living with heart failure and increase awareness of LVADs as a potentially life-saving treatment. We congratulate these five winners and thank each of them – and everyone who submitted videos – for sharing their personal LVAD story. We want to invite you to take a glimpse beyond the "winners circle" and check out some of the additional moving and motivating videos we received. You can view them here in our "Thanks to an LVAD ..." Honorable Mention Showcase.